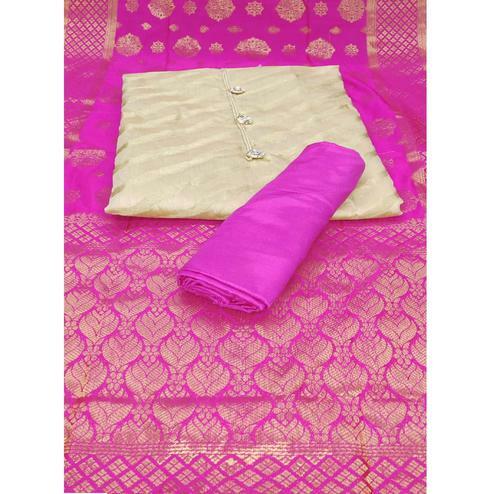 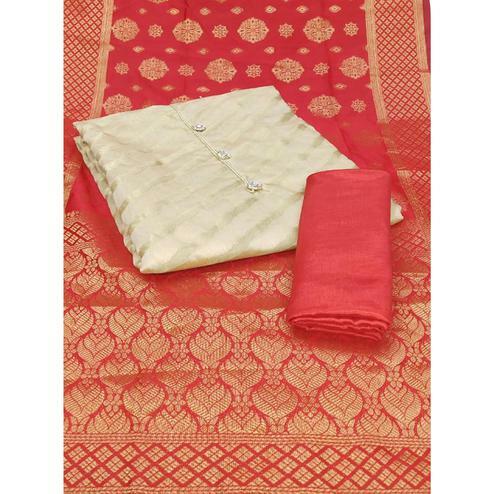 Make your everyday look more beautiful with this cream - pink salwar suit. 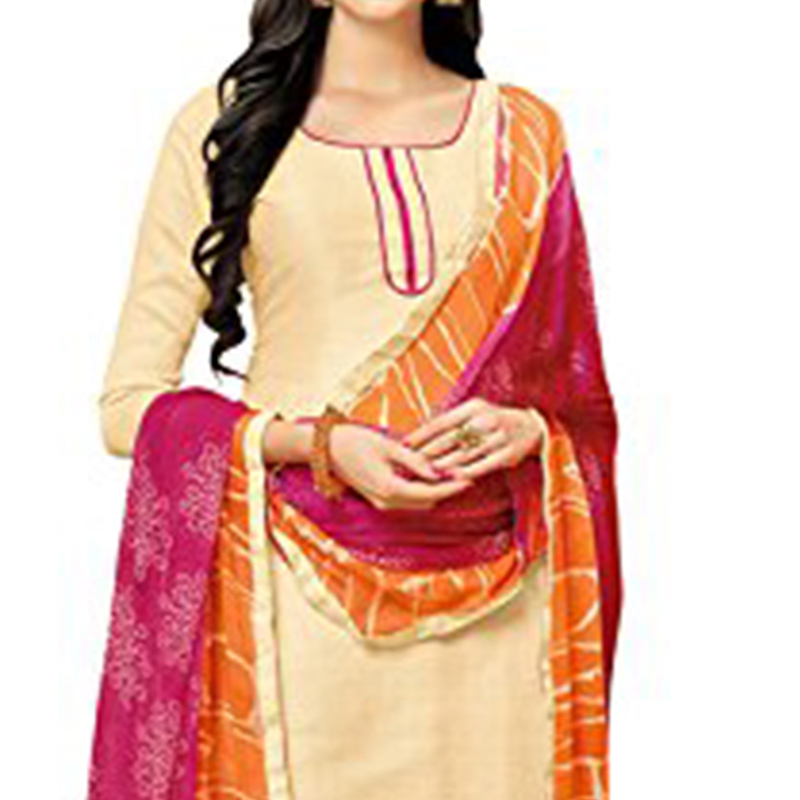 This outfit is made out of mulberry silk fabric, which is perfect for casual & office wear. 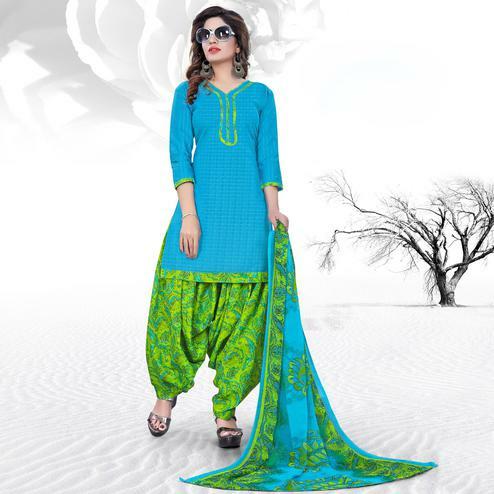 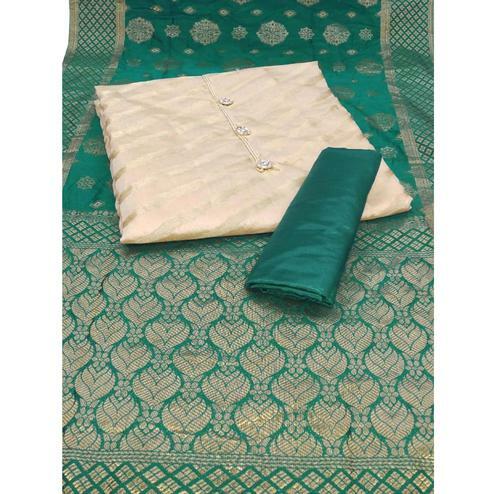 It comes along with plain cotton bottom & printed chiffon dupatta.